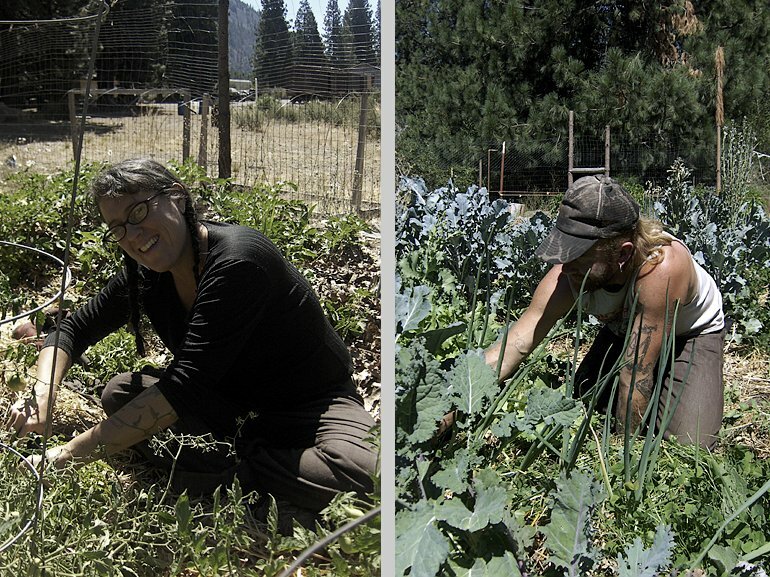 Since 2009 an important part of our project at Black Butte has been the development of the "Under the Butte" Organic Garden — a good-sized vegetable garden that helps feed the many BBCRC volunteers who participate in our events and projects. 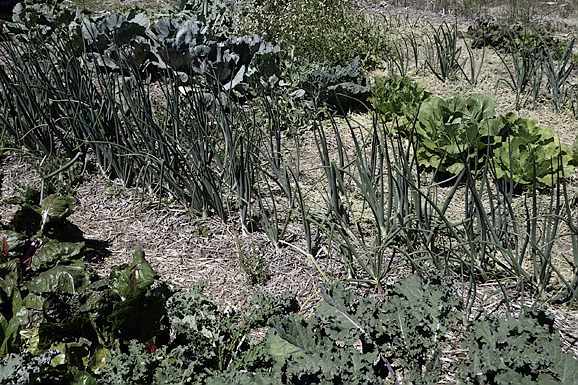 For its first three years the garden was coordinated by Xarick who has now moved to the Bay Area. For 2013, BBCRC volunteer Heather is coordinating the effort. The garden has recently had some major upgrades to its watering system and the greenhouse. If you are interested in helping out in the garden, either as a short-term volunteer or for a longer-term coordinating role in the future, please let us know. Below is some more detailed info describing gardening at our beautiful, sometimes challenging, mountain-side location. Black Butte, with its highly variable mountain pass weather, is a strikingly beautiful, fun, and challenging place to garden. January can be mild — daytime temperatures may reach the 50s, allowing the harvest of last season's heavily mulched potatoes. We see lots of snow in February and March, with storms continuing through April and possibly into May. However, nights are typically in the 20s, and temperatures in the greenhouse rarely drop below freezing, so starts are easy to grow. 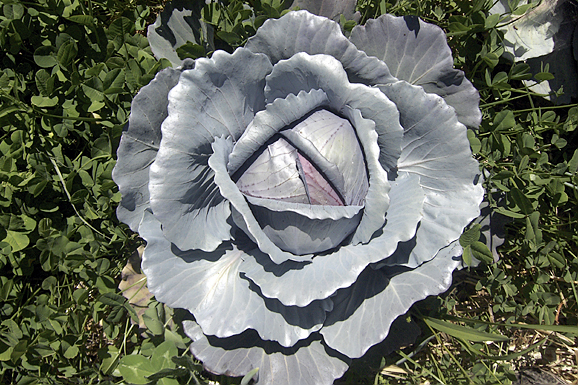 Lettuce and spinach open the outdoor garden season in early April, with other greens, roots, and peas following shortly. 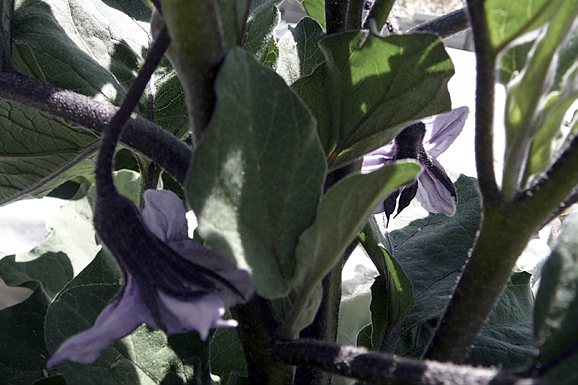 Tomatoes, peppers, and squash transplants get set out after the last frost date of June 15. Summer daytime temperatures range from the mid-80s to upper-90s, with nights anywhere from 40-60 degrees. This combination of dry heat and cool nights allows peas and lettuce to produce into early August, while beans may have a hard time getting established during cooler summers. Late July and August see plenty of summer squash, greens, broccoli, and new potatoes — this bounty holds us as we wait with baited breath for the first ripe tomatoes in late August. 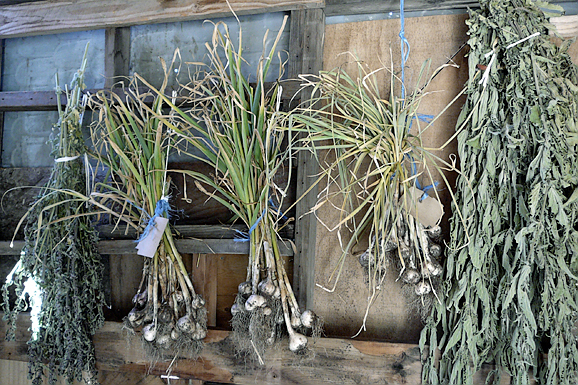 Garlic is harvested in mid-July, dries in August, and is planted again in September or October. First frost date is September 15, and so begins the regimen of covering plants at night to enjoy frost sensitive varieties for a few more weeks. Winter squash ripen over the fall, and heavily mulched hardy greens, leeks, and root vegetables last through the fall and winter snows. To negotiate the short season, dry summer heat, and extremely permeable soil, we use tools like floating row covers, plastic mulch, hoop houses, drip irrigation, and lots of mulch and soil amendments. 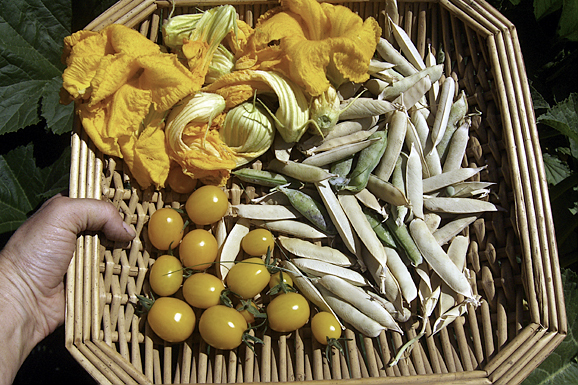 We save seeds to select for varieties that perform well in our short growing season, and also purchase season-extending and cold hardy varieties from FedCo, a great Maine company with radical politics to boot. Many of our starter seeds came from the Bay Area Seed Exchange Library, a fantastic Berkeley resource we continue to contribute saved seeds to each year. Soil building has been an essential mission of the garden. Several acres of the BBCRC are a former junkyard — gravelly compacted soil strewn with old auto parts, safety glass, etc. Fortunately, the salvage yard was established after California passed its drain laws; soil tests show low heavy metal and toxic organic chemical content. Through extensive applications of cow and horse manure, compost, lime, bone meal, humic acid, compost tea, fungal spores, and human urine, we now have a fertile 50 × 75 foot plot and 5 maturing fruit trees that feed members, guests, and neighbors throughout the year. 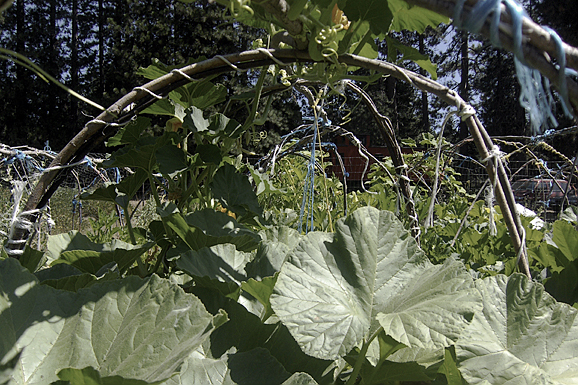 We practice organic agriculture, use recycled materials, and view the garden as one part of our local ecosystem. An important recycled addition to our growing system is our greenhouse, constructed inside a pre-existing 3-sided cement block structure. We have rehabilitated this strange eyesore into a functional solar greenhouse that supports both the garden and tree-planting efforts on the land. Vegetable plants don't limit themselves to the garden — volunteer squash and tomato plants thrive around our greywater system wetland. We constructed a treatment canal with a bentonite clay liner and populated it with local wetland plants. Bacteria living on the plant root systems and the gravel substrate filter all wastewater from the kitchen sinks and shower. Treated water fills a small pool and is used to water newly planted seedlings. Overflow contributes to the lush developing meadow area in the central compound.